Joseph Roth - Description | W. W. Norton & Company Ltd. Territory Rights: Worldwide including Canada, but excluding the British Commonwealth. The monumentality of this biographical work further establishes Joseph Roth—with Kafka, Mann, and Musil—in the twentieth-century literary canon. Who would have thought that seventy-three years after Joseph Roth’s lonely death in Paris, new editions of his translations would be appearing regularly? Roth, a transcendent novelist who also produced some of the most breathtakingly lyrical journalism ever written, is now being discovered by a new generation. 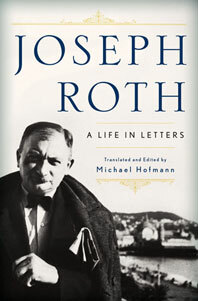 Nine years in the making, this life through letters provides us with our most extensive portrait of Roth’s calamitous life—his father’s madness, his wife’s schizophrenia, his parade of mistresses (each more exotic than the next), and his classic westward journey from a virtual Hapsburg shtetl to Vienna, Berlin, Frankfurt, and finally Paris. Napoleon's return to the throne in Paris, as imagined by the incomparable Joseph Roth. The wisdom of a lost generation distilled in a bottle of Calvados. Nobel Prize winner Elias Canetti’s sensational memoir: a frank, acerbic, and cranky way his years of British exile. A novel of total absorption, a heroic achievement, and one—despite the modesty of its author—destined for literary transcendence.